Now, Emerson has applied its deep sensor expertise to the creation of new single-use sensor technology, that provides up to 10 times greater sensor stability, reducing risk in process quality and yield for biopharmaceutical manufacturers. The new sensor technology also speeds time-to-market through shortened start-up time, greater ease-of-use and low maintenance. The new Rosemount™ 550pH single-use sensor and the Rosemount 550DW dissolved oxygen single-use sensor adapter are designed to deliver the same proven stability and performance as Emerson’s stainless steel sensors. 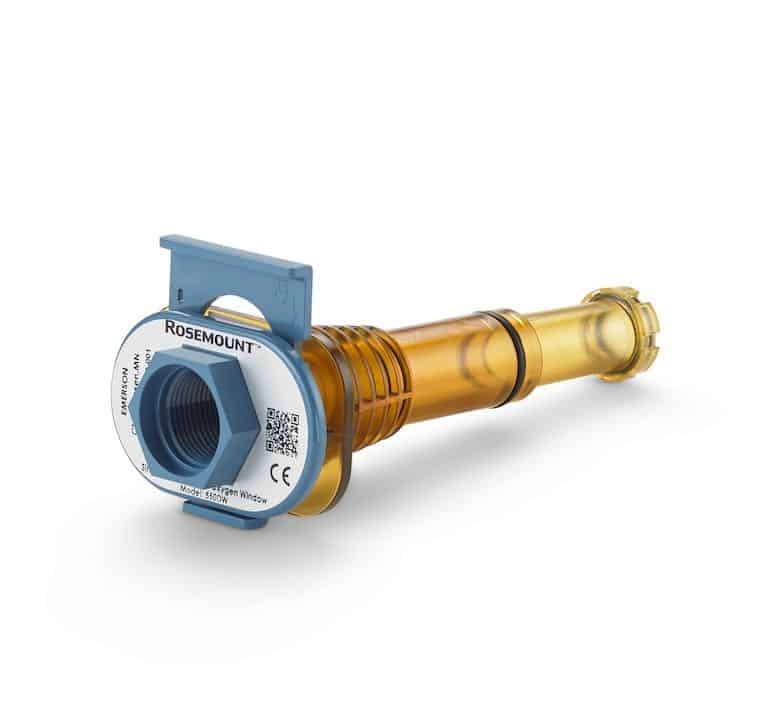 The Rosemount 550pH sensor offers the unique capability of being stored wet for immediate verification and standardisation, eliminating the initial stabilisation process, which can generally slow start-up by 30 minutes to two hours. The life sciences industry is in a transformational period, adjusting to new trends and influences. As the number of blockbuster drugs decreases, many facilities are transitioning from dedicated to multi-product manufacturing facilities, requiring shorter production runs, with faster changeovers. At the same time, many unit operations are switching from stainless steel batch to single-use continuous production, which requires smaller equipment and more flexibility for product changeovers. Responding to these trends puts pressure on plant design, equipment set-up, and utilisation to enable more flexible and faster production. 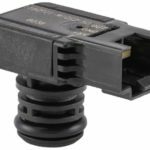 The new Emerson single-use sensor technology responds to this market demand. said Michael Francis, global product manager, Emerson Automation Solutions. The new Rosemount 550pH sensor is an electrochemical, fully disposable device with sensor stability of less than 0.005 pH change per day, verified by extensive testing. 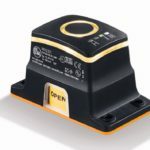 In a field marked by unstable sensors, the Rosemount 550pH sensor provides up to 10 times enhanced stability and requires no maintenance or calibration after initial one-point standardisation. Since the Rosemount 550pH sensor is stored wet, it overcomes the problem of inserting a dry sensor into the single-use bioreactor, only to discover it’s not working properly and having to discard the entire processing unit to start again. The new sensor is packaged with its own calibration fluid, giving it a two-year shelf life. Wet, one-point standardisation before start-up means that the sensor’s characteristics and functionality are verified before any solutions or buffers are added to the bioreactor bag. It also means that the verified sensor begins measuring immediately after being introduced into the bag with no extensive wait time, thus reducing overall processing time and time to market. The new Rosemount 550DW dissolved oxygen (DO) sensor adapter is compatible with standard stainless-steel DO sensors and enables placement into the bioreactor single-use bag. Only the gamma-irradiated adapter touches the process solution, meaning the sensor can be reused for multiple batches. The sensor can be air-calibrated prior to start-up to verify functionality, with no fill product needed in the bioreactor. 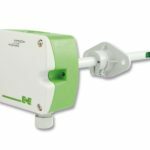 Both the Rosemount 550pH sensor and the Rosemount 550DW dissolved oxygen sensor adapter operate with the advanced Rosemount liquid analytical 56 transmitter, known for its intuitive ease-of-use. In addition, the new sensor technologies and the Rosemount 56 transmitter are fully compatible with the Emerson DeltaV™ control system, which is widely used in the life sciences industry. More information on the Rosemount 550ph sensor can be found at www.Emerson.com/Rosemount550pH and more information on the Rosemount 550DW dissolved oxygen adapter is available at www.Emerson.com/Rosemount550DW.